Hearing loss is a problem no one wants to deal with; however, many people will have to face this issue. One out of three people 60 and older have some hearing loss. Losing your hearing can make it difficult to understand your physician’s advice, to respond to warnings, and to hear doorbells or alarms. This problem can also make it hard to enjoy talking with friends and family. Hearing aids are the answer for many types of hearing loss. These are tiny instruments worn in or behind the ear to amplify. Hearing aids do make things sound different, but hearing aid professionals at hearing aid centers can help you get used to it. These professionals can be found in Alameda County, including the major cities of Oakland, Fremont, and Hayward. You may have to try more than one hearing aid to find one that works best for you. You can ask the hearing professional at the hearing aid center if you can have a trial period with one or two different hearing aids. 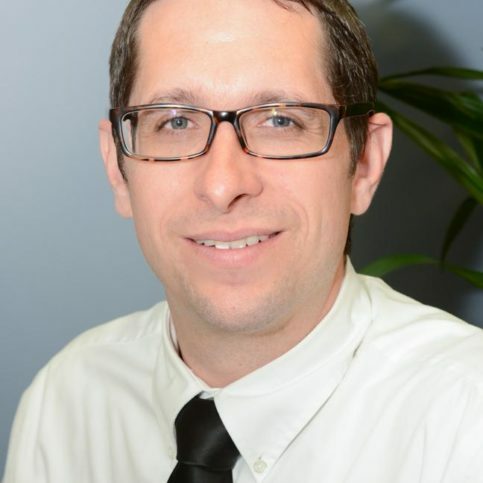 This hearing health professional will work with you until you are comfortable. The electronic components which make up hearing aids include: a microphone to pick up sound; batteries to power electronic parts; an amplifier circuitry to make sound louder; and a miniature loudspeaker to send the amplified sound into the ear canal. Hearing aids come in many different types. Some of these types are In-the-Ear (ITE), and In-the-Canal (ITC) and Completely-in-the-Canal (CIC), Behind-the-Ear (BTE), Bone Anchored Hearing Aids (BAHA), and disposable hearing aids. ITE’s are for moderate hearing loss. They are worn in the ear. If the person has extremely small ears, this model won’t be acceptable. ITC’s and CIC’s are placed inside the ear canal. CIC’s are very small in size and nearly invisible. ITC’s are larger. Some cannot wear these because of their canal shape and size.. In the Canal (ITC) and Completely in the Canal (CIC) – With ITCs and CICs, the whole hearing aid is placed inside the ear canal. ITCs are often larger than CIC devices. CICs are extremely tiny in size and are almost invisible. Some people due to their canal shape or size are unable to wear these types of devices. BTE’s benefit all types of hearing loss. This hearing aid fits behind the ear, and is connected inside the ear with tubing. The ear hook is custom made to fit each individual user. Bone Anchored Hearing Aids (BAHA) – BAHA’s are a special bone conduction hearing aid. It will transfer the sound through the skull, not the ear canal. It does that through a surgically implanted post. The hearing aid attaches to this post. The vibrations go through the hearing aid, to the post, to the skull, to the cochlea to help in the hearing of sound. This is used for conductive loss. Disposable hearing aids Disposable hearing aids have a built-in battery and, after a certain amount of time or use, the person will replace the whole hearing aid. Knowing your hearing loss type is relevant information. That will help you to find the type hearing aid that works best with that hearing loss. The selection of hearing aids is based on the type and severity of hearing loss, listening needs, and lifestyle. You will need to know a description of the symptoms, and then you can decide if you are experiencing any of these symptoms. If you are, you can move on to the next step. Below is list of some of the more common symptoms you might have that will tell you if you could have a hearing loss problem. Do you turn up the volume on the television because you can’t hear it? Do you find it difficult to follow a conversation between more than two people? Do you have frequent ear infections? Do people sound like they are mumbling? Is dizziness common for you? Do you ask others to repeat what they said? Do you have a difficult time hearing or distinguishing sounds in noisy situations? Do you have a ringing in your ears when you are in quiet surroundings? If you have any of these symptoms, then you must move on to the next step. The next step is to have a hearing test done by an audiologist. This is very important. You have to know the cause of your hearing loss in order to find the best treatment for it. Hearing loss cannot be completely corrected with hearing aids. No hearing aid can return your hearing to normal or give you a perfect substitute for normal hearing. The benefits gained from wearing hearing aids, even the most advanced hearing aids, will be different from person to person. Wearing hearing aids consistently will bring the greatest benefits. Hearing aids do amplify sounds, so you can hear them. The purpose is to make soft sounds audible, loud sounds loud (but not too loud), and the sounds of normal conversation comfortable. They improve a person’s capacity to understand speech, like conversations, by amplifying the sounds the individual can’t hear. The degree a hearing aid can improve speech understanding depends on the degree of the individual’s hearing loss and how much noise is present in the situation. In noisy situations, hearing aids can amplify the high-pitched consonant sounds more than the low-pitched vowel sounds to assist in better understanding. No hearing aids, however, can completely eliminate background noise that is troublesome. 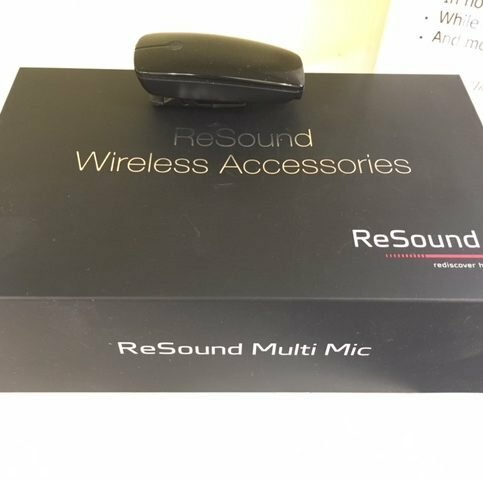 There are advanced hearing aids that use multiple microphone technology to enhance communication even more in noisy environments. Your ears and auditory system work are not changed with hearing aids. Hearing aids will not restore your hearing to a normal level. Secondly, hearing aids cannot stop hearing loss from progressing. Also, hearing aids cannot distinguish between the sounds you would like to hear and those you would not like to hear. The brain’s role is to distinguish the desirable signals and suppress the other sounds. Why Trust Diamond Certified Hearing Aid Centers Rated Highest in Quality? 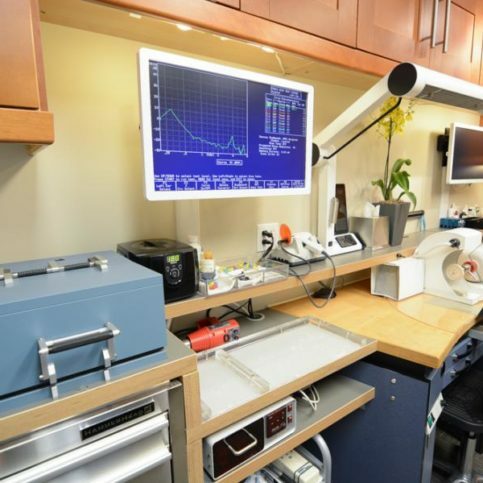 Center For Better Hearing Aids utilizes a variety of state-of-the-art hearing technology. 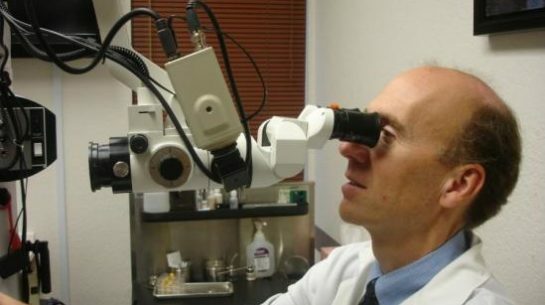 Center For Better Hearing Aids’ video otoscopy process allows patients to see their ear damage. 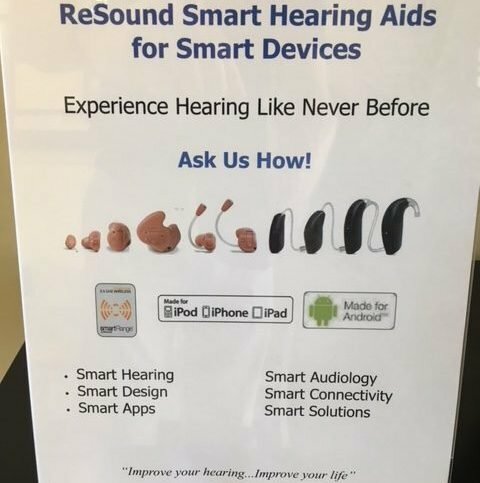 What Do You Want from Your New Hearing Aids? 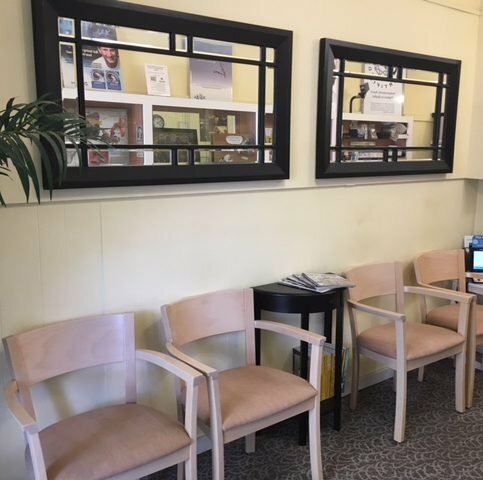 Before you choose a Hearing Aid Professional in Alameda County, including the major cities of Union City, Pleasanton, Newark, and Dublin, there are many factors to consider. 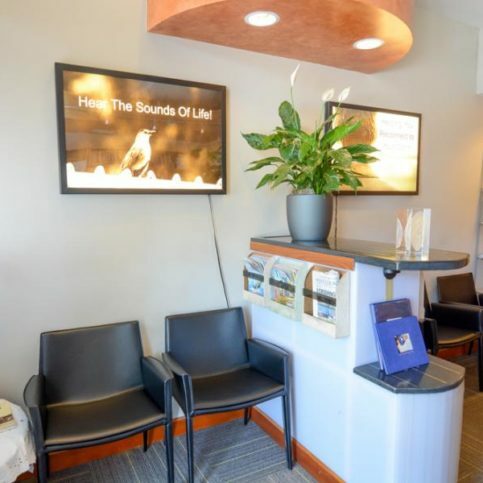 Your hearing loss must be evaluated by a hearing loss professional and that professional’s recommendation will help determine which hearing aid will be the best for your hearing loss and lifestyle. Write down as much as possible regarding what you are looking for before you begin your research. Will I get a personal copy of the audiogram along with an explanation of the meaning? 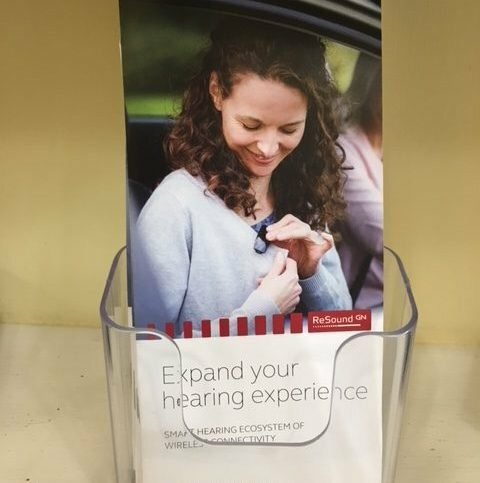 How involved do I want to be in the choice of a hearing aid? How important is the distance of the hearing professional from my home? Do I want a Diamond Certified hearing aid center that is rated best in quality and backed by the Diamond Certified Guarantee? 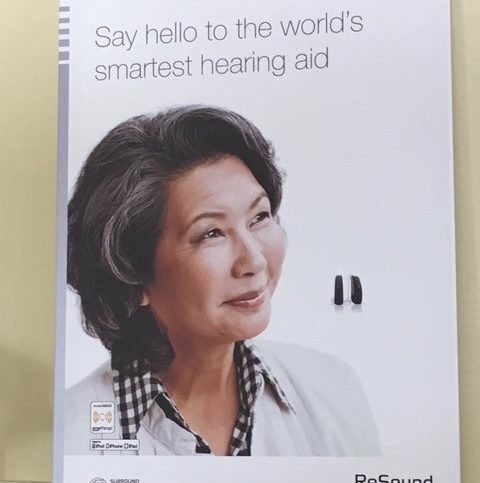 Will the hearing aid professional be able to meet all my hearing needs? 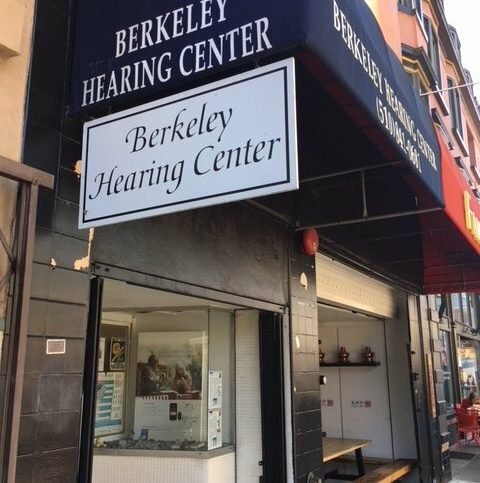 After interviewing hearing health personnel on the phone, you will narrow the field to your choice of hearing aid centers in Alameda County, including the smaller cities of Castro Valley, Livermore, Emeryville, and Albany. You will choose a hearing health care professional that will help you select hearing aids with appropriate features. 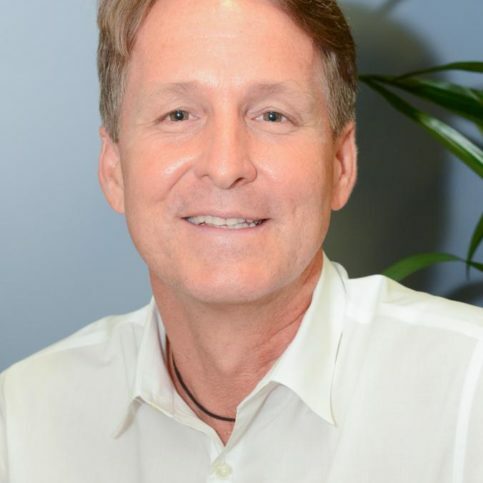 This professional can offer recommendations and advice to help you find the hearing aid that will work best for your hearing loss and your lifestyle. No hearing aid style is better than any other hearing aid. You must simply choose the one that is right for you. It is a smart idea to bring along a friend or family member when you visit your hearing aid provider. Two people will hear more and remember more of what was said. Do you recommend one or two hearing aids for my hearing loss? Hearing professionals typically recommend wearing two hearing aids for people with a hearing loss in both ears. The name for this is binaural fitting. Also two hearing aids help improve hearing in noise, and improve sound quality and clarity. You can ask for the pros and cons of one or hearing aids. Is the hearing assessment included in the price of the hearing aids or is it separate? Many times hearing professionals will offer a trial period, so you can try a set of* hearing aids for 30 to 60 days. During this time, the hearing aids can be returned for a refund. Also the hearing professional can adjust the hearing aids to give optimal comfort and sound, so you can know what it is like to wear hearing aids daily. Is financial assistance available for purchasing a hearing aid? Sometimes you can get government support and coverage to help with the cost of hearing aids and hearing evaluations. Make sure to ask your hearing professional for more information. 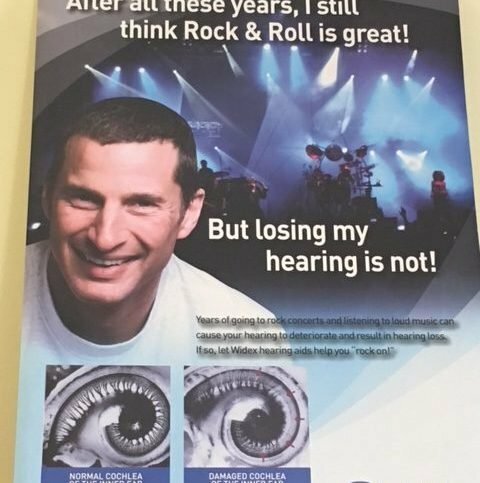 ..
What type of hearing aid does the hearing professional feel is best for your type of loss? 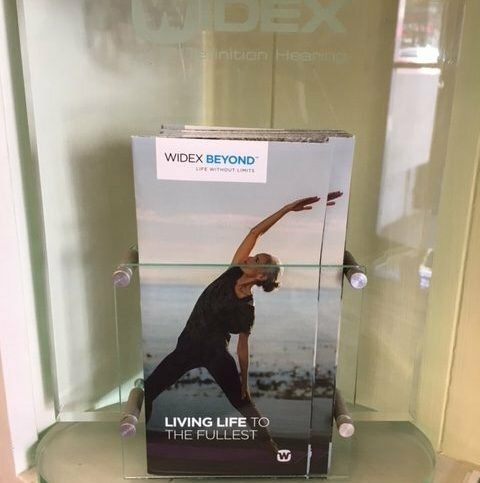 Remember that mail order hearing aids won’t take into account the your type of hearing loss. You should avoid these offers. What kind of add-ons can I get? Never feel pressured into buying something you don’t really need. Those extras come at a price. There are benefits. For instance, directional microphones help you in noisy places. Tele-coils assist with phone conversations, and feedback cancellation keeps the aid from squealing. Wireless technology will assist with cellphones use and televisions. Just remember to consider what you really need. Ask for a contract that explains everything that you are buying. Include the make and model of the hearing aid in the contract. Know the exact price and the trial period. Also get the warranty information. Set the dates for the follow-up visits. Usually there are three or four visits in the first eight weeks. Just fitting the hearing aid in your ear is not all there is to buying a hearing aid.. You actually hear with your brain. When you get hearing aids, your brain does not know what to do with the sound. You will need aural education and rehabilitation. Some of this training can be done at home on your computer or through group sessions. 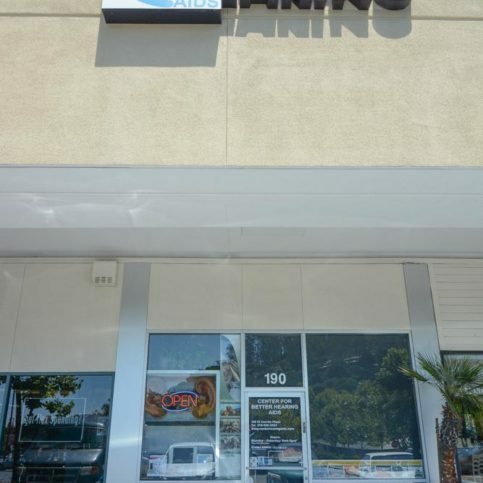 It is a good decision to choose a Diamond Certified hearing aid center in Alameda County including the major cities of Oakland, Fremont, and Hayward because all certified companies have passed an in-depth ratings process that most other companies can’t pass. If you want quality from a hearing aid center in Alameda County and the greater Bay Area, you can have confidence choosing a Diamond Certified company. Diamond Certified reports are available online for all certified companies. And you’ll never be fooled by fake reviews. That’s because all research is performed in live telephone interviews of actual customers. 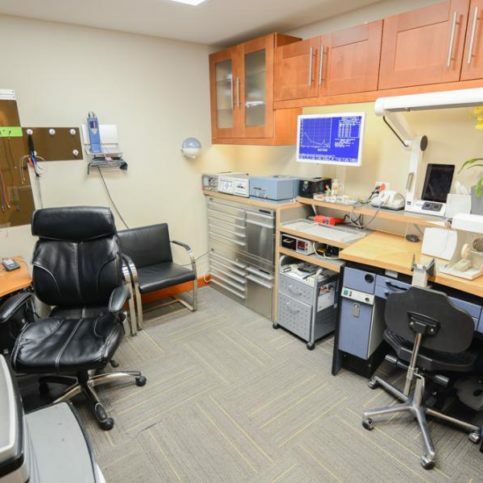 If you can’t find a Diamond Certified hearing aid center within reach, you’ll have to do some research on your own. In that case, it is a good idea to call references provided by your doctor. Remember though, that references provided to you by the doctor are not equal in value to the large random sample of customers surveyed during the Diamond Certified ratings process. 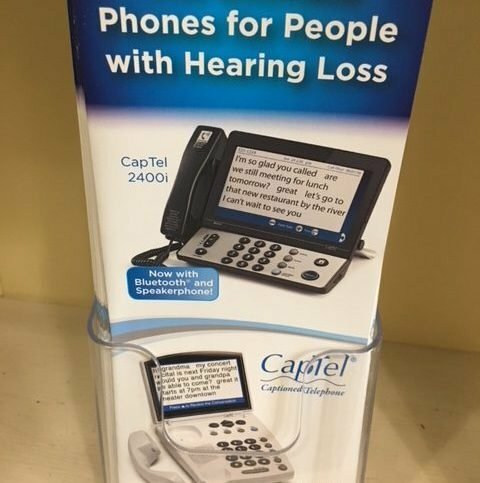 Instead, the hearing aid dispensers will likely give you a few customers to call that they know are satisfied. 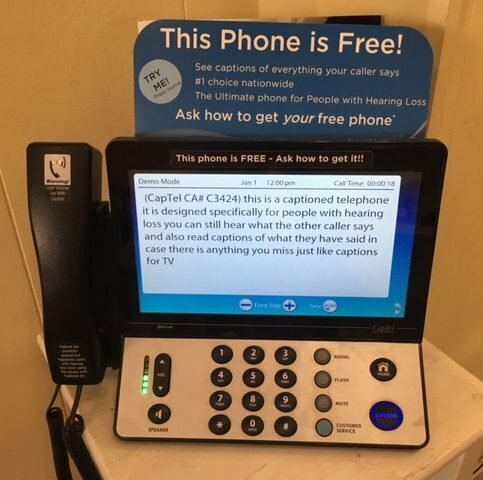 If you do call references on your own, specifically ask for a list of the company’s 10 most recent customers, keeping in mind that hearing aid centers may legally be limited to giving references of customers who agree to share their personal information. Were you confident of the doctor’s recommendation of the type of hearing aid? Are you happy with the training and aural rehabilitation you are receiving to use the hearing aids? Does the staff take time to make sure you are comfortable with your hearing aids? Were you happy with the hearing aids? If there was a problem, was the warranty honored? 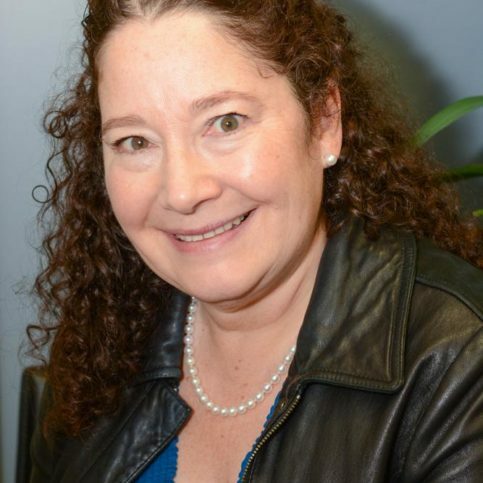 The expense of hearing aids in Alameda County is an important consideration. 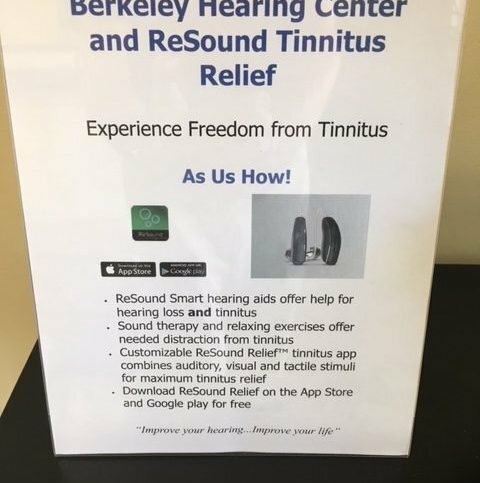 Hearing aids are quite varied in price, so before deciding on the best hearing aid to buy in Alameda County in the major cities of Berkeley, San Leandro, and Alameda, there are some important things to consider. Unless you happen to be a military veteran who can get virtually free hearing aids, you will probably have to buy the hearing aids yourself. Medicare currently will not pay for the price of hearing aids, but they will pay for the exam to get hearing aids. Some private insurance companies will also do this. If a physician prescribes an audiologist hearing test, Medicare will pay for that. Private insurance companies may pay for portions of hearing aid costs or may not pay anything. You will need to check with your insurance to find out what your coverage is. Some of the following questions should be considered when buying hearing aids? 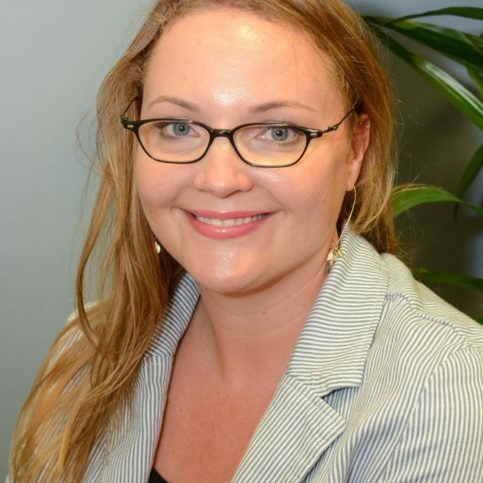 What is the quality of the staff of the center? Do you assist veterans in getting help with hearing aids? 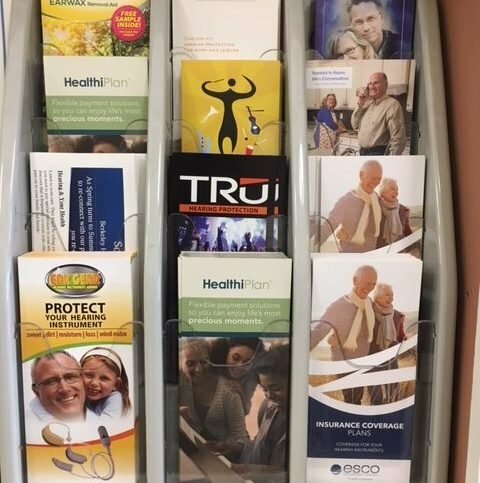 Does Medicare provide any benefits for this service? 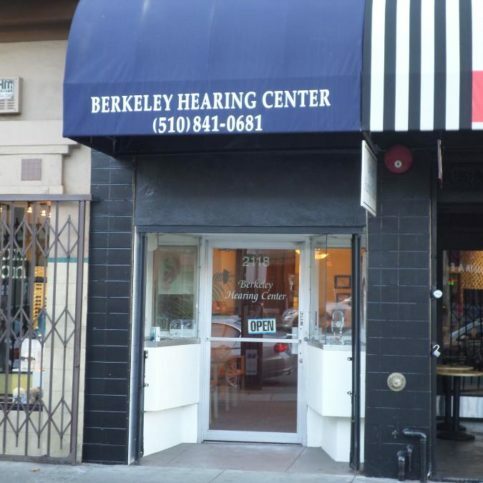 What are the billing practices of the hearing aid center? After working with an Alameda County hearing aid center in choosing hearing aids, you will begin the transition to feeling comfortable wearing them. This may take some time. At the beginning, it will be helpful to use the hearing aids at your home or in quiet surroundings. You will learn how hearing aids magnify the noise in the background. That makes settings, like restaurants and church, seem very frustrating. Remember to ask about aural rehabilitation. Rehab will assist you with the frustrations of learning to use hearing aids. Other issues may appear also. New hearing aid users will find their voice sounds very loud or maybe plugged up. (That is an uncomfortable feeling that is like putting your fingers in your ears when you are talking.) This can be a problem with all hearing aids; however, it is a bigger problem with the type of hearing aids that fit deep in the ear canal. Your hearing aid provider can adjust the hearing aid by drilling a small hole in the ear mold. Or you can change to a different hearing aid style. The open ear hearing aid might be better for you. 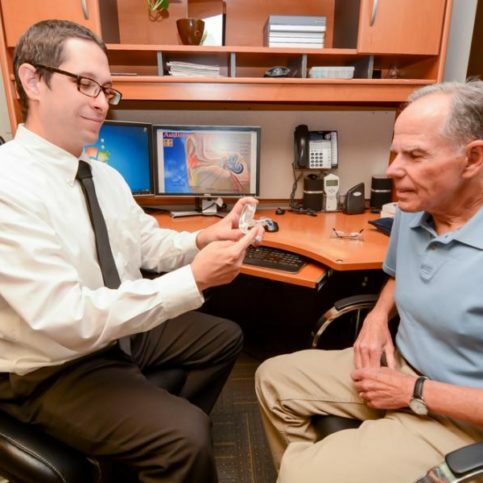 Problems may arise when you find that your cell phone is not compatible with your hearing aid. Usually the hearing aid will cause a buzzing sound during usage. To stop this problem, you can use a hearing aid with Bluetooth wireless technology. With this, you won’t need to raise the phone to your ear. Check the instructions of your phone if you want to stay with the cell phone. The models of cell phones that work well with your hearing aid will have M3/T3 or a M4/T4 rating. Many of the newer hearing aids will have a rating of M2/T2. You may want to talk to your audiologist about this. You are to add the M and T ratings for the hearing aid and the cell phone, and you will have a combined rating. You want the best sound quality which is obtained by the combined score of M5/T5 or M6/T6. Feedback might be a problem. This is where you have the high pitched screeching sound from the hearing aid. Learning to adjust the hearing aid correctly should solve this problem. This can be taken care of in the training classes. Thoroughly read the hearing aid manual. Reading this will help you get the best use from your hearing aid. In theatres, conference halls and churches, you will want to sit near the center of the building. That is the spot with the best acoustics. You will want to sit close enough to a person speaking so see his/her face, but don’t sit too close. Making sure you have quality hearing aids that work best for your hearing loss and lifestyle is the hearing health professional’s responsibility. But you play a big part in the success of your hearing aid, too. Following are simple steps you can take to be a good customer when buying a hearing aid in Alameda County including the major cities of Union City, Pleasanton, Newark, and Dublin. When the Alameda County hearing aid center contacts you, return calls promptly to keep the hearing aid contract on schedule. Be clear and upfront with the hearing aid professional and/or the staff. Let them know what you want from your hearing aid, the long-term outcome you’re expecting and specific ways they can satisfy your expectations. 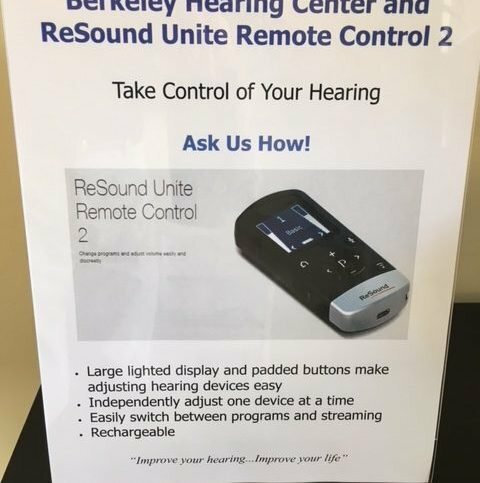 Before you confirm the hearing aid you want in Alameda County, restate your expectations and goals, and reiterate to the hearing aid professional and/or staff your understanding of the agreement. Most problems with local hearing aids occur because of a breakdown in communication. By being clear about your expectations and theirs, you can avoid most conflicts. Be sure your service representative has a phone number where they can reach you at all times while they’re processing the hearing aid order. The work will move along more smoothly if your hearing aid center can reach you for any necessary updates, questions or work authorizations. Remember, a friendly smile goes a long way, even if you are experiencing frustrations adjusting to the hearing aid. Ask your hearing aid center if you should call to check on the progress or if he will call you with updates. Make your hearing aid payments promptly. Why would you want to be a good customer? 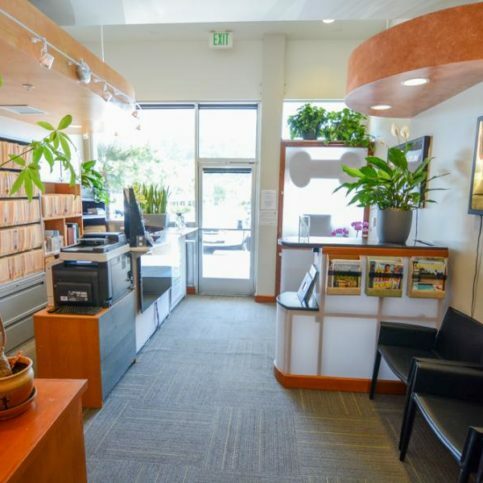 Hearing aid centers in Alameda County appreciate customers who are straightforward, honest and easy to work with. Your good customer behavior sets the tone from your end and creates an environment conducive to a good relationship. Things may very well go smoother and any problems may be more easily resolved. Warranties for hearing aids vary greatly depending on the brand, type and model of hearing equipment you’ve chosen. Guarantees may also vary at different hearing aid centers. Be sure to read exactly what is included and what is not included in the warranty, and ask your hearing aid provider for clarification if you have any questions. Can I purchase additional warranty coverage that extends after the initial warranty ends? What if I lose my new hearing aids? What if my hearing aids are damaged? Does this warranty cover daily wear-and-tear, or is it only for accidental damage or major damage? Is the hearing aid battery covered by the warranty? 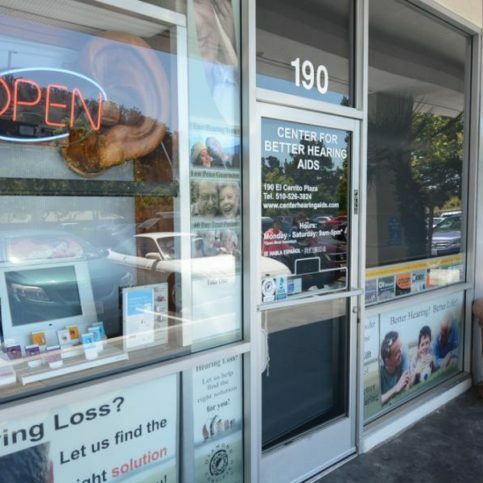 Hearing aid center residents in Alameda County have their choice of many hearing services. Each individual may have special needs or might require specific types of care. Following is a general overview of the hearing aid services. After being fit with a hearing aid, it is important to have counseling time to adjust and become comfortable with this product. Counseling and rehab centers will provide individual counseling for each hearing aid user and the family. The family’s input is important also during this time. A variety of assistive devices are provided by hearing aid centers. 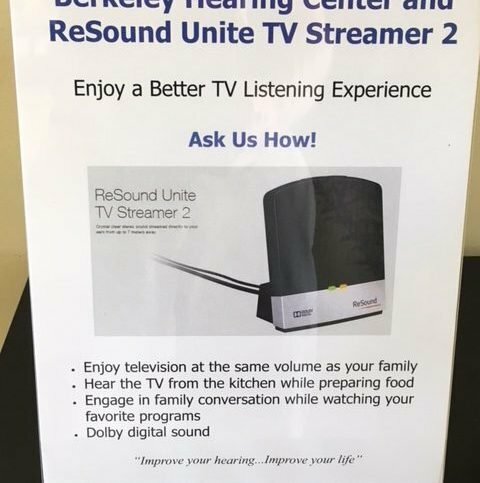 The devices range from specialized telephones for those with hearing loss to devices to help hear the television more clearly. Many specialty ear molds are provided for various areas of life. Many hearing aid accessories can be purchased, for instance telephones with volume control, pocketalkers, phone pads, battery testers, dry aids to keep the hearing aids dry inside, hearing aid care kits, and more. Rechargeable and disposable batteries are both available for hearing aids. The size of the battery will depend of the size of the hearing aid. 5 – 14 days is the average time a battery will last, depending on how many hours a day it is worn. A series of test are given to determine the hearing loss of an individual. Hearing loss can vary from mild to profound. An accurate evaluation will give valuable information to make recommendations. If you need to find a place to repair your hearing aid, compare prices and research the company thoroughly. Use the internet to see if the problem can be fixed at home. Always check your warranty first, so that you know if the problem can be fixed under the warranty. Hearing aid replacement is used if repair isn’t possible, or if a technology upgrade (because of new technology) would be a better help to the hearing aid user’s needs. 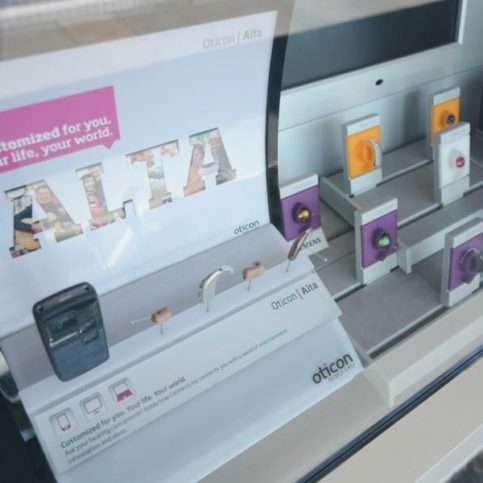 Hearing aid supplies are found at many stores. Your hearing aid center or online searches will help you find the best prices. Hearing aid amplifiers are set up to both stop adding gain above a certain level of volume or add less gain when the volume gets louder. Noise reduction hearing aids doesn’t actually reduce the noise. Where there is noise and speech, it does reduce the amplification of the frequencies. When a fan is on, the hearing aid will amplify the speech more than the fan. The more advanced noise reduction hearing aids work to break up the frequencies into smaller units. Analog hearing aids uses your audiogram to amplify the sound, and this is used in many hearing aids. It is either conventional or programmable. Conventional aids will equally amplify all sounds; therefore, some sounds will be loud, and other sounds too soft. This can be corrected when the volume is adjusted. Analog hearing aids can be programmed to different settings. These settings can be saved, so the person can switch to the setting that works best in the current environment. Devices designed to assist people who have hearing loss function better in certain situations. Some examples are: amplified telephones, induction loop systems, FM systems, and infrared systems. Audiograms are a graph of a person’s hearing threshold levels. It shows the softest sounds a person can detect at different frequencies. Also it shows the lowest and highest pitches heard. 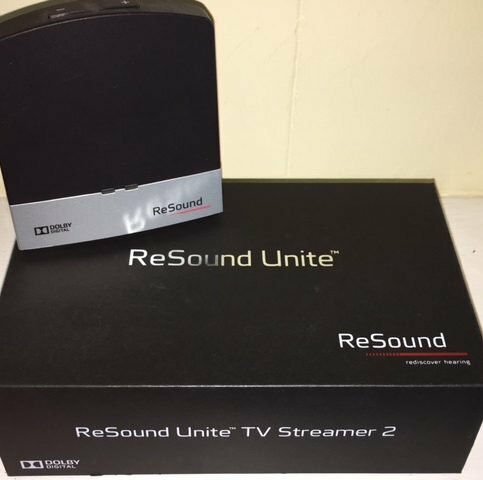 An assistive listening device where wire is placed around a room and connected to audio devices, like a television. This creates a field that will transmit sound to hearing impaired people wearing hearing aids. Inside the loop, sound is clear without any background noise. A health care professional educated to assess a person’s hearing loss and other hearing problems (i.e. tinnitus). A variety of procedures are used to check hearing function, then assist in choosing hearing aids and other hearing devices. People with hearing loss go to rehab to learn to improve their speaking and communication. abilities. Hearing aids that adjust automatically and instantly to make loud sounds comfortable and soft sounds louder. BAHA’s are a special bone conduction hearing aid. It will transfer the sound through the skull, not the ear canal. It does that through a surgically implanted post. The hearing aid attaches to this post. The vibrations go through the hearing aid, to the post, to the skull, to the cochlea to help in the hearing of sound. This is used for conductive loss. Bluetooth hearing aids are advanced digital hearing aids that connect wirelessly to Bluetooth devices. This might be audio devices PDA’s, computers, or cell phones. They are connected to s a streaming device that make the hearing aid a hands-free headset. This hearing aid fits behind your ear, and it connected to a mold that fits inside your ear with tubing. These custom made devices attach to the ear with an ear hook. They are known for their durability and practicality. The hearing aid is totally inside the ear canal. CICs are very small in size (almost invisible). Not all people can wear this device because of canal shape or size. This device will be a substitute for damaged hair cells in the inner ear. It is implanted into the cochlea with surgery. It uses an external process to send an electrical signal to the auditory nerve. The user will then perceive sound through the cochlear implant. It is used for severe to profound hearing loss. 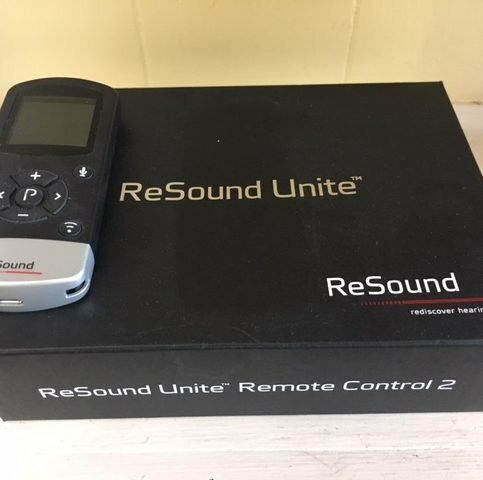 A unit used in measuring sound. Digital hearing aids revolutionized hearing when they came onto the scene in 1996. This translates sound to digital code. After changing the code, it sends it back using math calculations. This technology duplicates sound transmission, and now it has created a more quality sound with increased accuracy. This hearing aid has a battery that is built in. After a certain amount of hours or time, the entire hearing aid will be disposed of and replaced. Feedback is best described as a high pitched screeching sound experienced by hearing aid users. The unit used in measuring the pitch of sound. A type of hearing aid that is smaller than the ITE aid, but bigger than the canal aid. It fills half of the bowl of the ear. Hearing aid batteries will need replacement. Check with the individual battery directions for frequency. A set period of time when a hearing aid buyer may try the hearing aids made for him/her. If the person isn’t satisfied, they may return them for a refund (there may be a trial fee). An electronic device that will increase the electrical signal strength. A decrease in a person’s ability to hear is called a hearing impairment or hearing loss. With mild and moderate losses, the person may not be affected. In profound hearing loss, the person can not hear, but can sense vibrations. A series of tests that use an audiometer to measure hearing loss. The frequency of a sound in cycles per second. It is named after Heinrich Rudolf Hertz. A type of hearing aids that fits in the bowl part of the ear. They are most often used for moderate hearing loss. Invisible hearing aids are not visible because they fit further down in the ear canal than the other types. It is out of sight even if you look directly into the ear bowl. 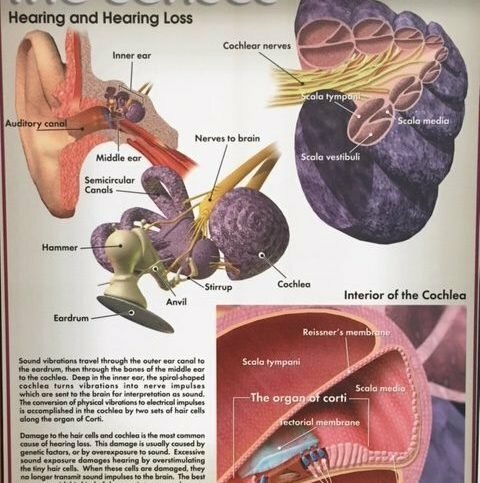 They use venting and their placement to make the hearing experience more natural. These are most suitable for users that are middle age or younger. Mixed hearing loss is a combination of conductive and sensor neural losses. This hearing aid fits over the ear with a wire that runs into the ear and a small, soft tip. There are holes in the tip to keep the user from feeling plugged. These hearing aids are used for high frequency loss. The strange sound that hearing aid wearers experience, where their voice sounds distorted, as if speaking in a tunnel. This is caused when canal blockage keeps sound from escaping. A physician who specializes in ear diseases. 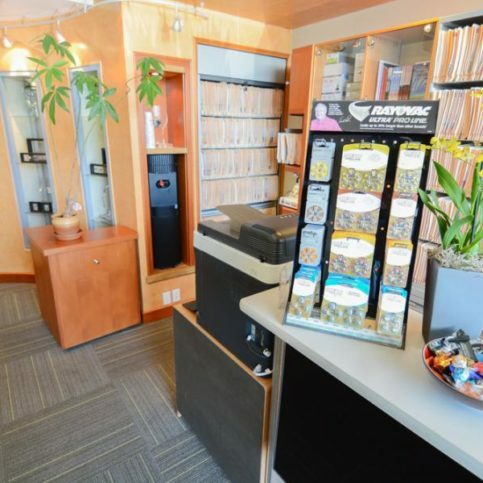 Q: Why choose a Diamond Certified hearing aid center? A: Diamond Certified helps you choose a hearing aid center with confidence by offering a list of top-rated local companies who have passed the country’s most in-depth rating process. Only hearing aids rated Highest in Quality earn the prestigious Diamond Certified award. Most companies can’t pass the ratings. American Ratings Corporation also monitors every Diamond Certified company with ongoing research and ratings. And your purchase is backed by the Diamond Certified Performance Guarantee. 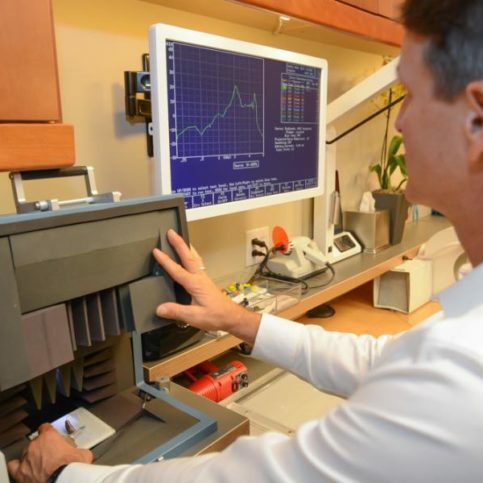 So you’ll feel confident choosing a Diamond Certified hearing aid. A: The best way to know if you have a hearing loss is to consult with an audiologist or a licensed medical professional who can assess your hearing ability. Many times, people with a hearing loss know they have a reduced ability to hear because they find following speech or conversations difficult. They feel frustrated because they feel others are mumbling, and they must ask often people to repeat themselves. Some will find that others mention how loud they are listening to the radio or television. If hearing loss is suspected, you should have tests done to make sure it is diagnosed and treated properly, and also to confirm that isn’t another disease or ailment. Q: What are the various types of hearing aids? A: Behind-the-Ear (BTE) – This hearing aid will sit behind your ear. It is attached to an ear mold that fits inside your ear with tubing. An ear hook is used to fasten it on the ear. The molds are custom made for each user. In the Ear (ITE) – These fit in the ear of the wearer. In the Canal (ITC) and Completely in the Canal (CIC) – With ITCs and CICs, the entire hearing aid fits inside the canal. CICs are extremely small in size, and nearly invisible. ITCs are usually larger. Disposable hearing aids – You can choose a disposable hearing aid. They have a built-in battery and after a certain amount of time or use, the person will replace the whole hearing aid. Q: What is the cost of buying new hearing aids? A: To estimate the price of a hearing aid, you must consider many factors. 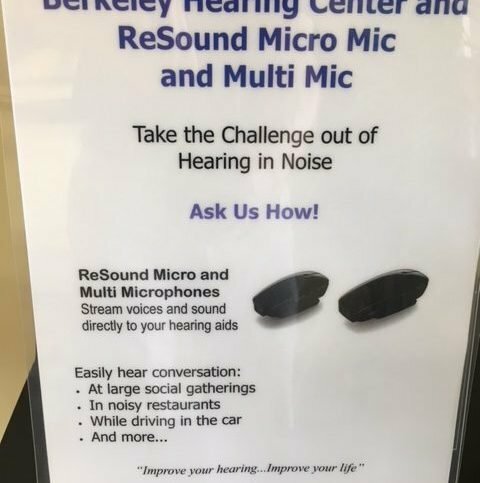 What type of hearing aid do you want? Do you need accessories? Would you like digital or analogue? Would you it to be programmable? Do services come with the aid, like a hearing consultation? What are the hearing aid’s capabilities and features? 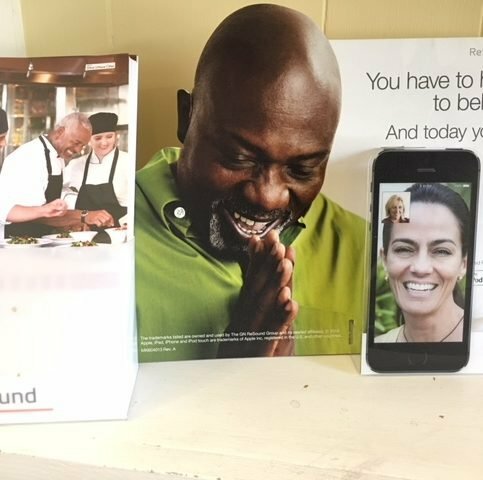 A single hearing aid may cost $50 for a disposable hearing aid or up to $5000 for hearing aid models that have the most cutting-edge technology. Q: What type of battery will I need for the hearing aid? A: There is a specific size of battery for each hearing aid. 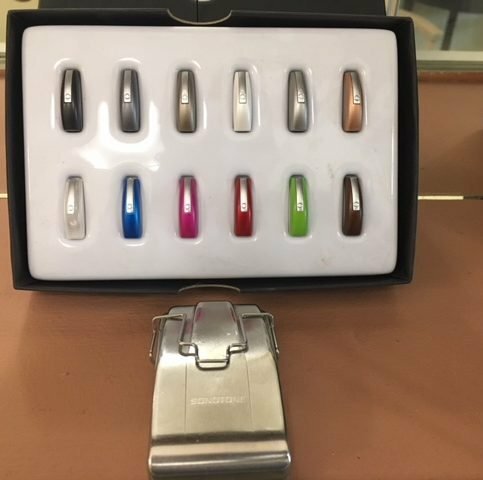 Currently, a new color coded system helps hearing aid wearers to know and match the particular battery with their hearing aid. The hearing aid manual will give the size. All you have to remember is the color to buy the right size. Q: How long is a hearing aid battery expected to last? A: Much will depend upon the energy and power the aid needs. It will also depend on the type of hearing aid and how often it is used. Some batteries will last weeks, but some last only days. Speak to your hearing aid professional, as well as reading the manufacturer’s advice to make sure you maximize the life of the battery. Q: How long is a disposable hearing aid expected to last? A: Some brands of disposable hearing aids can last up to 400 hours or 90 days. It depends on which is reached first. Others will last for 600 hours or 120 days, depending on which is reached first. Q: Is it best to wear one hearing aid or two? A: This is a very difficult question to answer since each one has a different type of hearing loss with a different extent of loss. Two hearing aids do have advantages. They bring more balanced hearing, more clarity, and better hearing in noisy situations.